Charming 3 bedroom and 2 FULL bathroom home updated with fresh carpet, wood type flooring and neutral paint throughout. 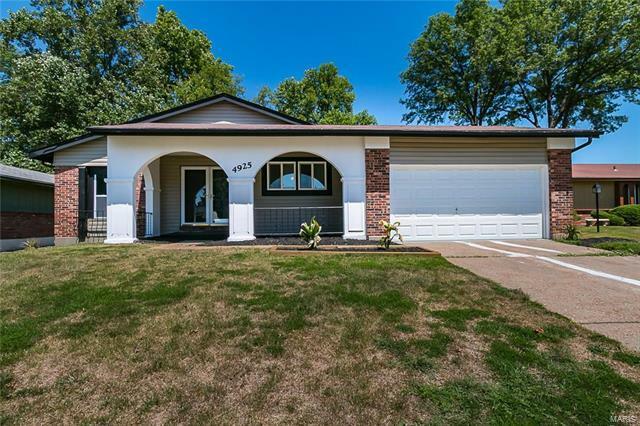 This home is MOVE-IN ready and has great curb appeal! Terrific floor plan with kitchen that boasts black appliances, gas stove, pantry and refrigerator. Master bedroom complete with full on-suite bathroom. Updated light fixtures and ceiling fans throughout. Finished basement with rec room and storage area. Great size fenced in backyard perfect for kids and pets. A MUST see! This home won't last! 270 east to Old Halls Ferry north right on Redman left onto Latonka.